Long life span: 2.000 charging cycles. 5 times more than traditional AGM or gel batteries. Partial charging: connect batteries at any time for full or partial recharge with no damage. No memory: Li-Ion batteries do not suffer from battery degradation, which gradually decreases their performance. Experience constant productivity time after time. Fast recharge: a special stand-alone charger, sold as optional, delivers a full charge in only 100 minutes. Long-lasting energy: if unused, Li-Ion batteries only lose 1% of their potential energy a month. Nothing compared to the 20% of some other batteries. 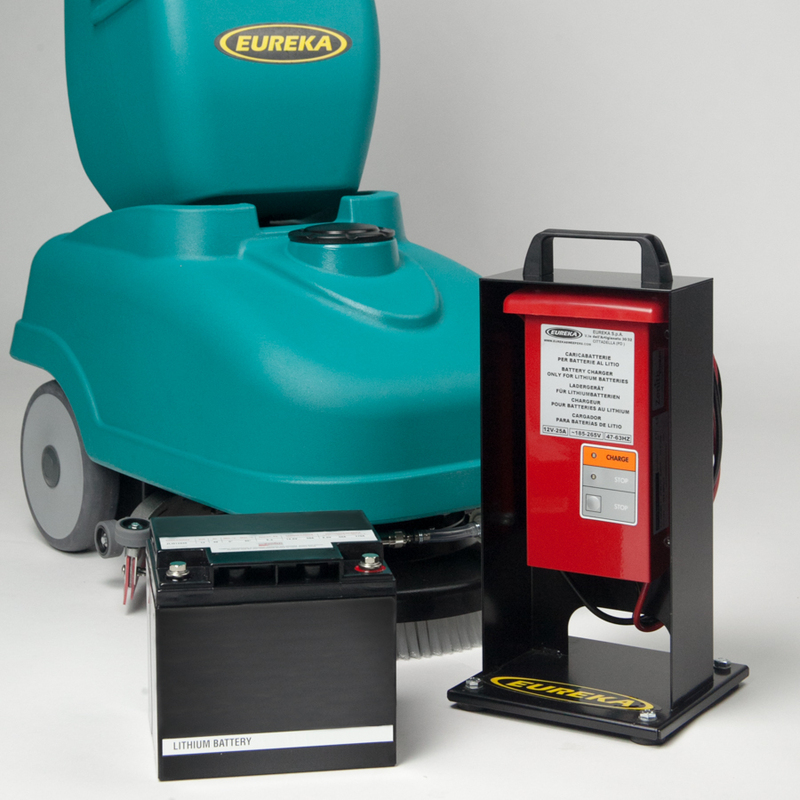 Zero maintenance: Li-Ion batteries are completely sealed against dust and water so they will never need a maintenance service. Less weight: machines with lithium batteries are lighter and easier to transport. For all these reasons the E36 Li-Ion is the ideal choice for those needing a machine that is always ready to go. Even if it is used intermittently, inactive for long periods of time, or is only charged for short periods of time between uses.